Including "exciting" Tomb Raider news. E3 is less than a month away and Square Enix has outlined its plans for the show in a blog post. 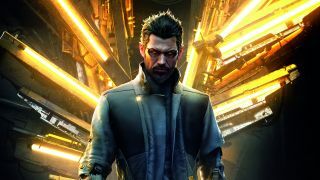 Deus Ex: Mankind Divided will be on the show floor, so we'll be giving you some new hands-on impressions. It'll also be showing the next episode of Hitman, which takes Agent 47 to Marrakesh. The JRPG-inspired I Am Setsuna will also be there, as well as games from Square Enix Collective, the publisher's indie-focused crowdfunding platform. These include Black The Fall and The Turing Test. Square Enix says there'll be more announcements in future 'Road to E3' blogs, including "some exciting Tomb Raider news" and "details on a few new games." The Tomb Raider news will probably only be a PlayStation 4 release date, but maybe they'll tease the next game in series?